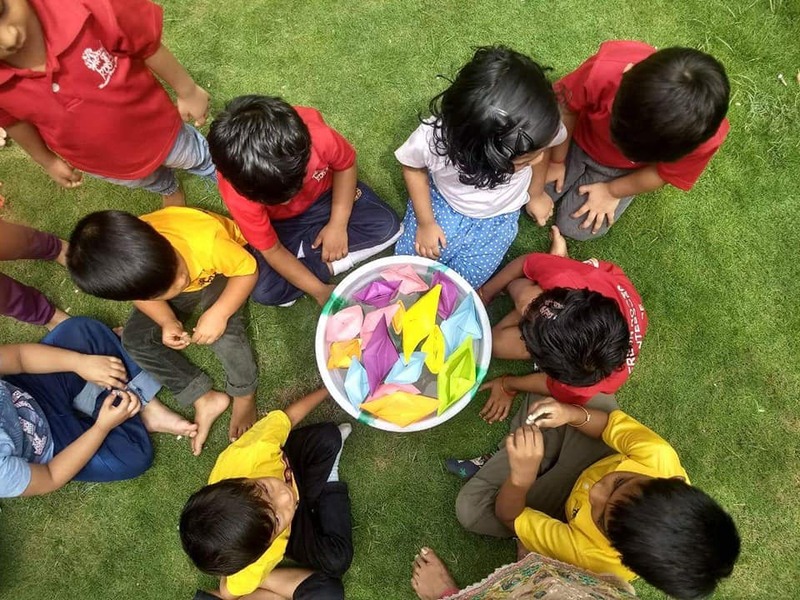 Arbor week celebration..... Vruksha bandhan program started where preschool children are learning about plants, types, parts, and how to nurture a plant. Dressed in green all have selected a plant and will now take care themselves. Haritha Haran ..... Tree Plantation drive by Freshroots Montessori house...... plants were distributed to all the apartments around the school to keep our environment fresh green and rich of oxygen. Thanks to the Council of Green Revolution for sponsoring the plants and the teachers for distribution. Let's each one plant one tree so that gen next has enough to eat and breathe. Painting exercise for hand eye coordination and concentration for the pre primary children. They will now fill with sand and some methi seeds and see the miracle of plants growing from the seeds. Innovative learning experience at Fresh Roots Montessori school.